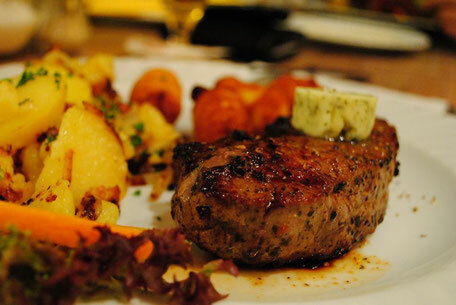 In our hotel you will always find cuisine of the finest, fresh quality. In our cozy restaurant you can enjoy everything from typical Upper Palatinate delicacies to seasonal gourmet dishes. Would you like to take your family for an Upper Palatinate Sunday meal? Great. Our roast has been marinated for at least 48 hours and is just waiting to be cooked for you. Would you prefer to choose something rich in vitamins? We are also good at doing this. Our versatile salad menu is full of delicious alternatives. 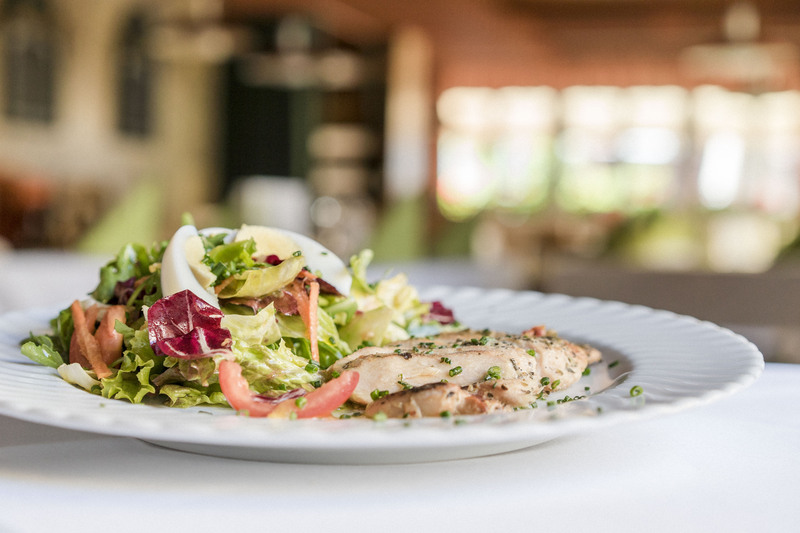 Why not try our "Smokey" salad with house smoked chicken breast. For dessert we recommend a freshly-brewed espresso and a scoop of homemade ice cream. Nowadays, high quality products are no longer guaranteed, but they are central to our philosophy. In order to always provide you with the most tasty produce, we select only the finest ingredients: Meat from the region, from farms run as humanely as possible, game from local hunters, herbs from our garden, and homemade pasta. 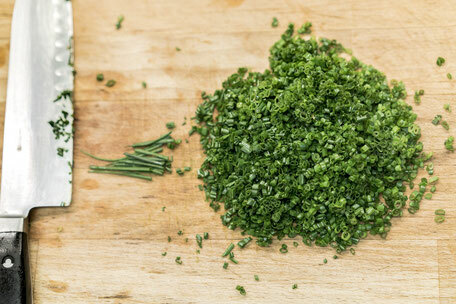 All of which we prepare for you without using any flavor in enhancers, yeast extracts, tenderizers, or preservatives. Our chef had a top-notch career. In Luhe he trained as a pastry chef in the traditional confectionery of Günther Krämer. 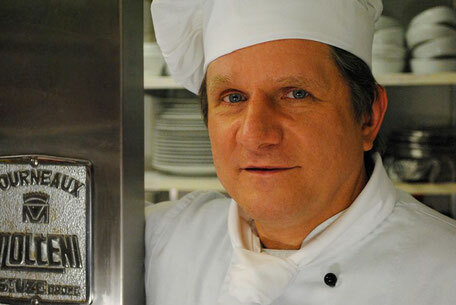 He then spent several years in Munich, where he completed his training as a chef at the Kempinski Vier Jahreszeiten Hotel. Following his apprenticeship, he took his master's examination in confectionery in Bayreuth. Today he is at your service creating the most delicious dishes in our kitchen. Are you planning a special occasion? 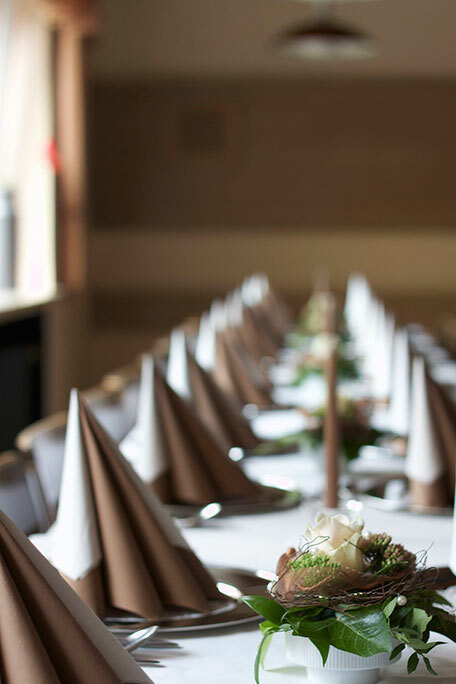 We would be glad to organize wedding receptions, christenings, birthdays, family reunions, work or company celebrations, awards, and tributes, or even the Christmas party at the end of the year. You are welcome to use our media room "Paul" for meetings and conferences in a professional atmosphere. 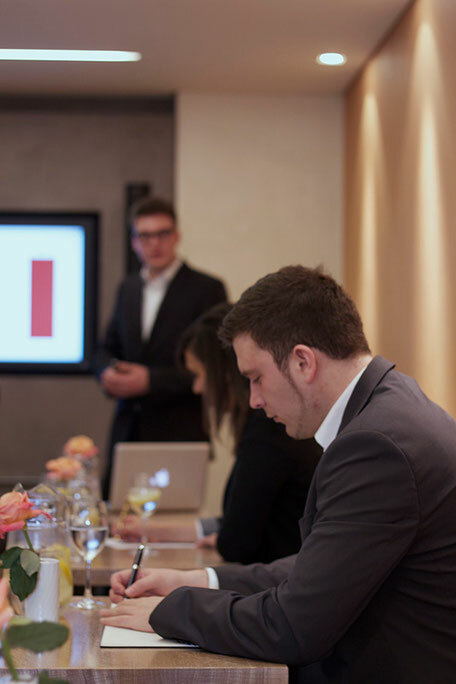 Convince through content, but also use the latest presentation technology. Powerful Bose audio speakers and a 46 inch large screen panel are at your disposal. The media room is suitable for larger as well as small groups. The maximum occupancy is 20 people. 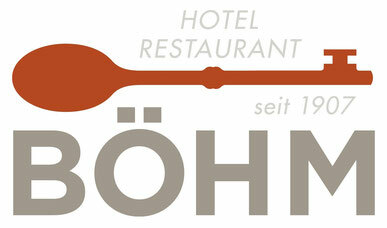 Please register no later than 4 weeks prior to the planned use at info@hotelboehm.de.